New book, 256 pages, 3 black and white pictures, 274 colour pictures, 12 maps and 60 colour drawings. Much of the fascination that Chinese military aviation holds for the analyst and enthusiast stems from the thick veil of secrecy that surrounds it. 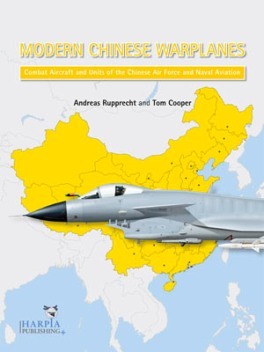 This uniquely compact yet comprehensive directory serves as a magnificently illustrated, in-depth analysis and directory of modern Chinese air power. It is organised in three parts: the most important military aircraft and their weapons found in Chinese service today; aircraft markings and serial number systems; and orders of battle for the People's Liberation Army Air Force and Naval Air Force. This item was added to our catalog on Saturday 01 December, 2012.